In July, the Department of Labor (“DOL”) Wage and Hour Division (“WHD”) published its much-anticipated Notice of Proposed Rulemaking (“NPRM”) in the Federal Register regarding proposed amendments to the Fair Labor Standards Act (“FLSA”) Regulations. In particular, the proposed amendments update the regulations governing the FLSA’s executive, administrative, and professional exemptions, the so-called “white collar” exemptions that apply to employees who are exempt from the FLSA’s minimum wage and overtime protections. Notably, the proposed regulations significantly raise, and in fact, more than double the minimum salary an employer must pay an employee to qualify for the white-collar exemptions. Under the current rules implemented in 2004, workers must earn only $23,660 per year in order to be eligible for the white-collar exemptions. The proposed regulations increase the salary threshold to $50,440 per year in 2016. The proposed salary level exceeds even the highest state thresholds for white-collar exemptions in California and New York. Remarkably, the WHD estimates that 10.9 million workers would no longer qualify as exempt based on the new salary level. In addition, while not proposing specific amendments to the Regulations, the WHD requested comments on a number of topics, including changes to the “duties test” utilized to determine white-collar exempt status and inclusion of non-discretionary bonuses or commissions in the salary calculation for purposes of meeting the salary level threshold. The FLSA Regulations exempt certain groups of employees from the FLSA minimum wage and overtime pay requirements. The most commonly used exemption relates to employees working in jobs that the FLSA describes as executive, administrative, or professional—the so-called “white collar” exemptions. To qualify under the white collar exemptions, employees must (1) be paid a predetermined and fixed salary that is not subject to reduction based on actual hours worked; (2) be paid at least the minimum salary level set in the Regulations of $455 per week – or $23,660 annually; and (3) meet certain job duties-related tests as defined by the Regulations. The proposal raises the salary level for the white-collar exemptions to equal the 40th percentile of weekly earnings for full-time, salaried workers, bringing it to a projected level of $970 per week, or $50,440 annually in 2016. The proposals call for the salary-level to automatically update based upon a selected measure to ensure future increases reflect economic changes without requiring DOL action. The DOL left open the possibility of changing the job duties test applicable to the white collar exemptions. The DOL requested comments regarding various topics, notably including whether to allow non-discretionary bonuses to satisfy a portion of the salary level test. When will the DOL publish the new FLSA Regulations in their final form and when will they become effective? 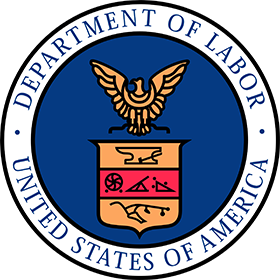 The DOL provided a 60-day public comment period where members of the public could comment regarding the salary level increase proposal, any changes to the “duties test,” and other topics presented for discussion regarding updating the FLSA Regulations. Despite numerous requests to extend the public comment period, the DOL declined to do so. Thus, the public comment period ended as scheduled on September 4, 2015. Reportedly, the DOL received 264,093 comments from a broad range of those interested in the legislation such as business owners, companies, employees, non-profits, universities, and trade associations. The comments emphasize the large divide in opinion on the proposed changes. Because these are proposed modifications to the existing Regulations, an effective date has not been set; however, employers should start planning now for the impact these new regulations will have on their operations and finances. It is anticipated that the Final Rule will be released in mid-2016. It is unlikely that the DOL will provide employers with a long grace period for compliance once the Final Rule is published given that when these regulations were last updated in 2004, the DOL gave employers only 120 days to comply. Presumably, the DOL will provide the same or a shorter timeframe for compliance this time. Questions about Employment Law Compliance? If you have questions about employment law compliance, contact our compliance experts. Eastridge can help to minimize risks. Contact us today.